When I went to Seven-Eleven nearby I took some pictures. 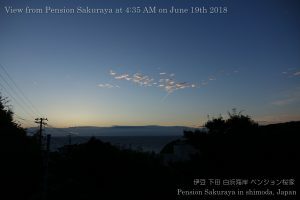 This early morning the sky was clear and very beautiful, but a lot of clouds came from the western sky after that. And we had a little shower this late afternoon. 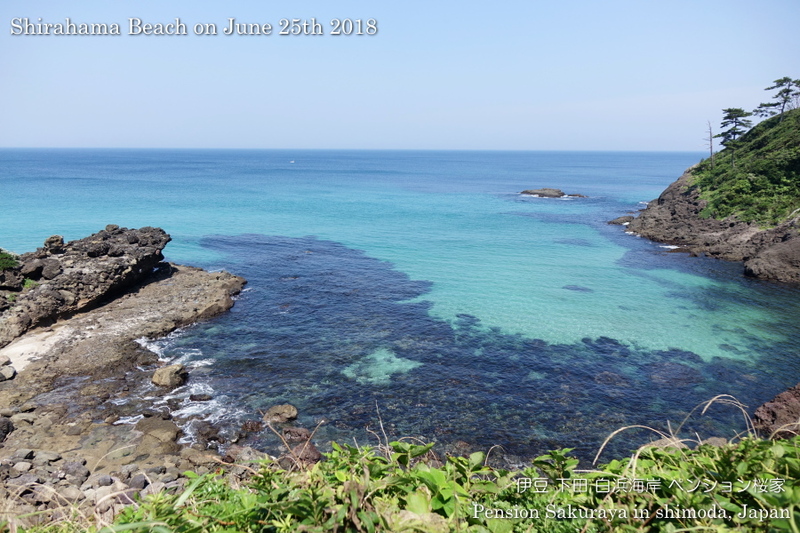 Actually it was very hot and humid like August here in Shirahama all day long today. I didn’t want to go out on such a hot day. 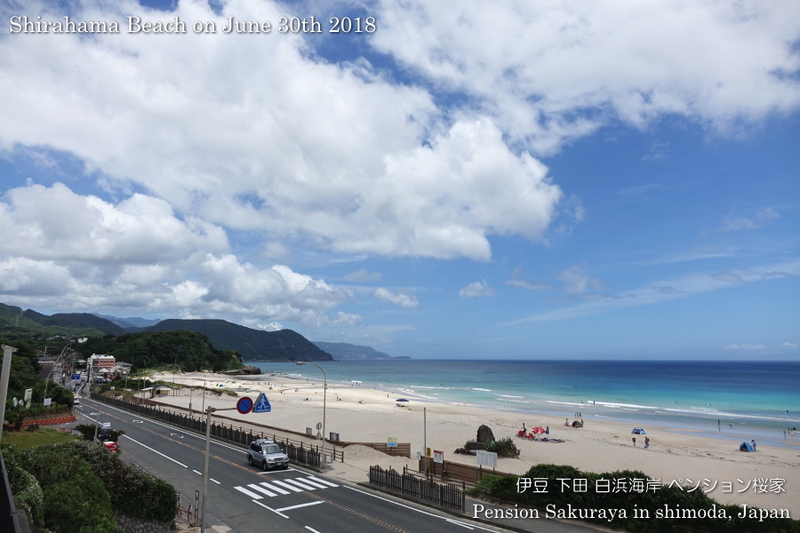 This entry was posted in beach on 2018年6月30日 by izusakuraya. 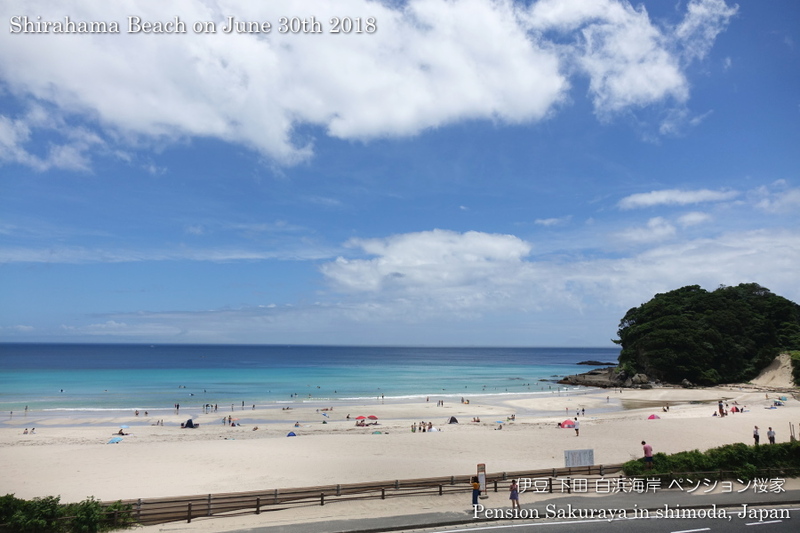 The weather here in Shirahama was really strange today. 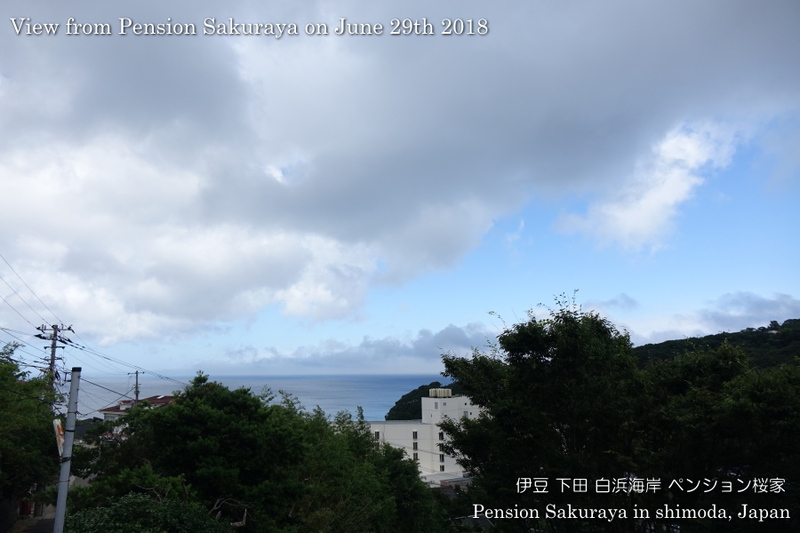 It was sunny and we were able to see the blue sky this early morning, but we had strong shower at around 11:00 and it became cloudy after that. 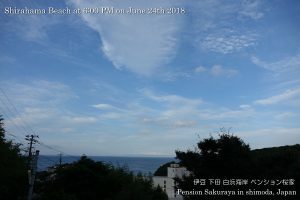 And we had blue sky over the sea this late afternoon after all. 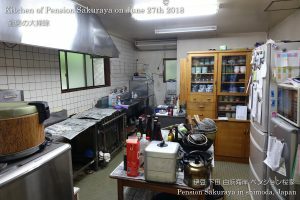 This entry was posted in nature, Pension Sakuraya on 2018年6月29日 by izusakuraya. 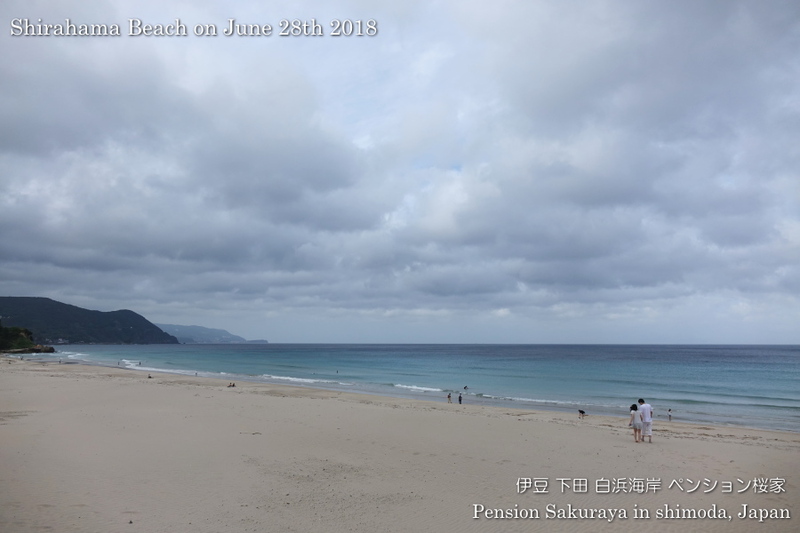 It was cloudy and humid again here in Shirahama today. Some places in Shirahama are getting ready for busy season in summer now. The fences are set To prevent the illegal parking during summer. 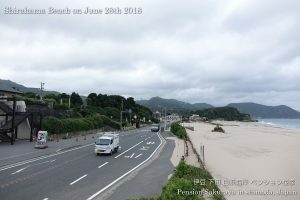 This entry was posted in beach on 2018年6月28日 by izusakuraya. Today it was the 4th day to clean the kitchen. 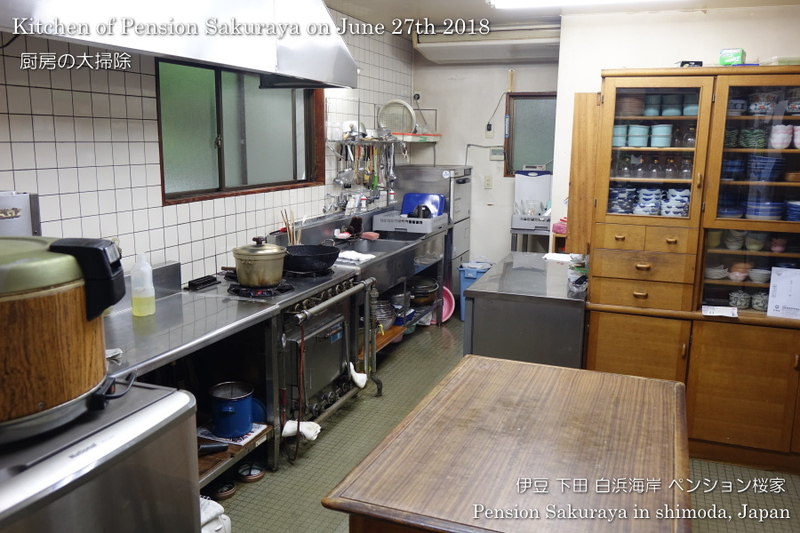 I’ve already finished to wax the floor of this room several days ago, but I still have a lot of things to clean…. This entry was posted in Pension Sakuraya on 2018年6月27日 by izusakuraya. 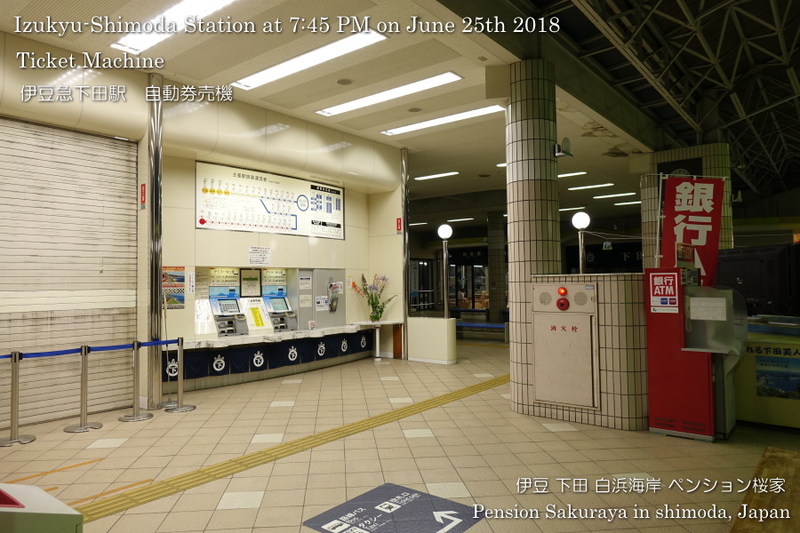 There was just only one person in the station building before the train arrived. 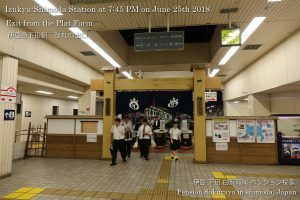 But after the train arrived a lot of people came through the exit from the plat form. 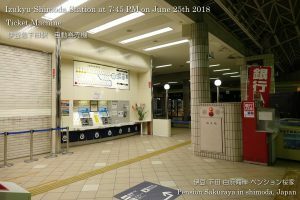 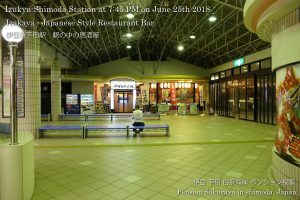 This entry was posted in Travel on 2018年6月26日 by izusakuraya. 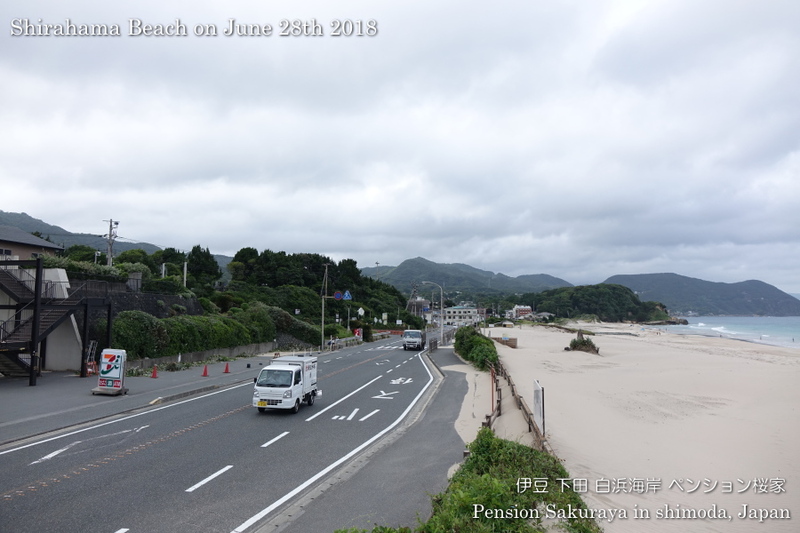 I took these pictures on the way to Shimoda for shopping. Though we are still now in the rainy season, it was sunny and very hot like summer here in Shimoda. Of course there were some people with swim wear on the beach. Hope the rainy season would be finished soon! 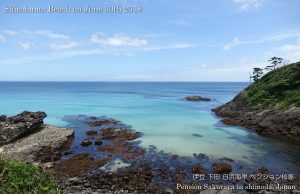 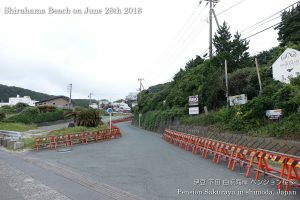 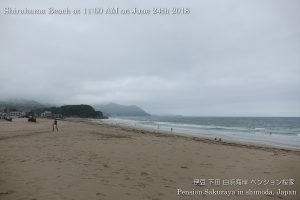 This entry was posted in beach on 2018年6月25日 by izusakuraya. 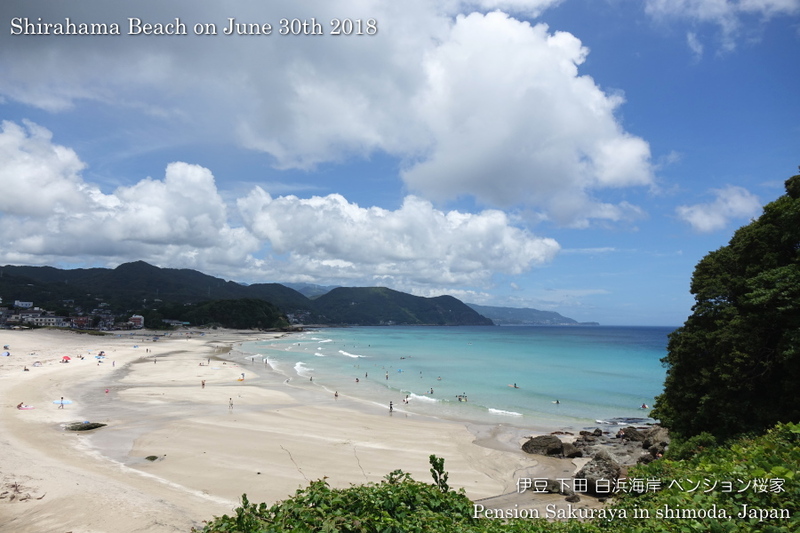 After I went to Shimoda for shopping this morning I took some pictures on the beach on the way home. 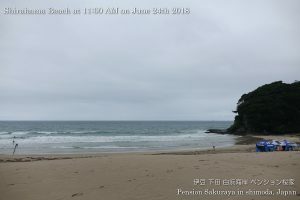 It was rainy here in Shirahama before noon, but it became sunny afternoon. The weather forecast says it will be sunny for next 3 days. 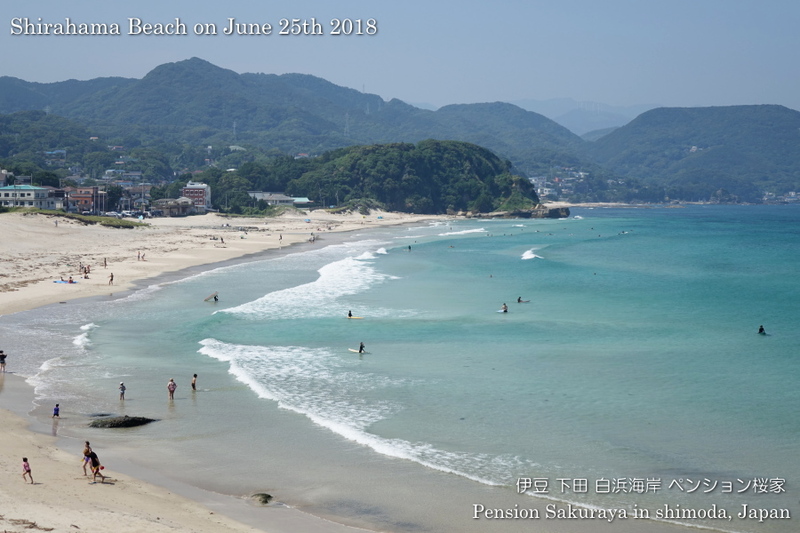 This entry was posted in beach on 2018年6月24日 by izusakuraya. 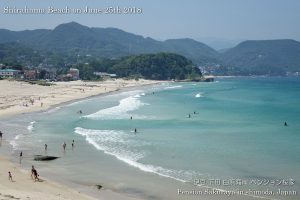 They are from Los Angeles in the United States and come to Japan once every year. This year they came to Izu peninsula by rental car from Tokyo and stayed with us for one night. After check out they went to the aquarium and will stay 2 more night in Shimoda city. 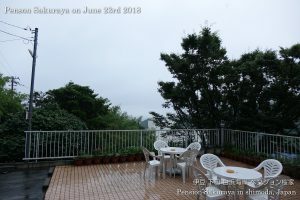 It had been rainy during their staying in Shirahama, but it will be sunny tomorrow and the day after tomorrow. 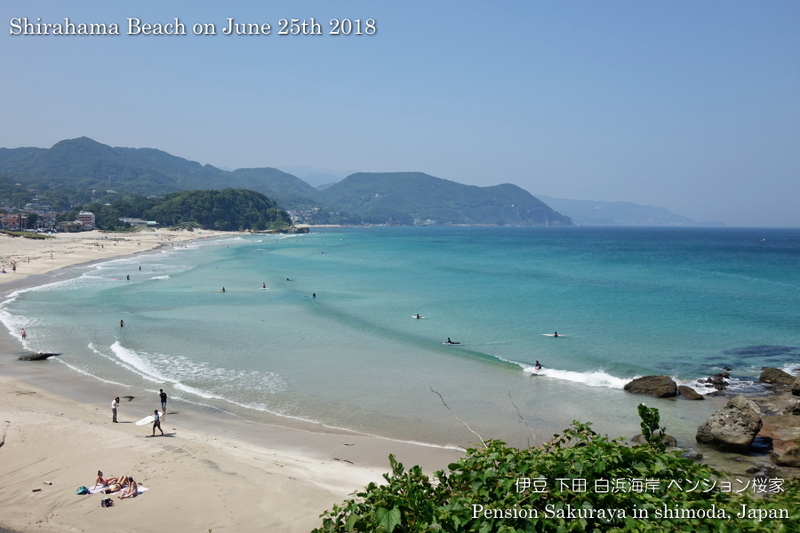 So they will be able to go to the beach during their stay in Shimoda. This entry was posted in Customers, Pension Sakuraya on 2018年6月24日 by izusakuraya. 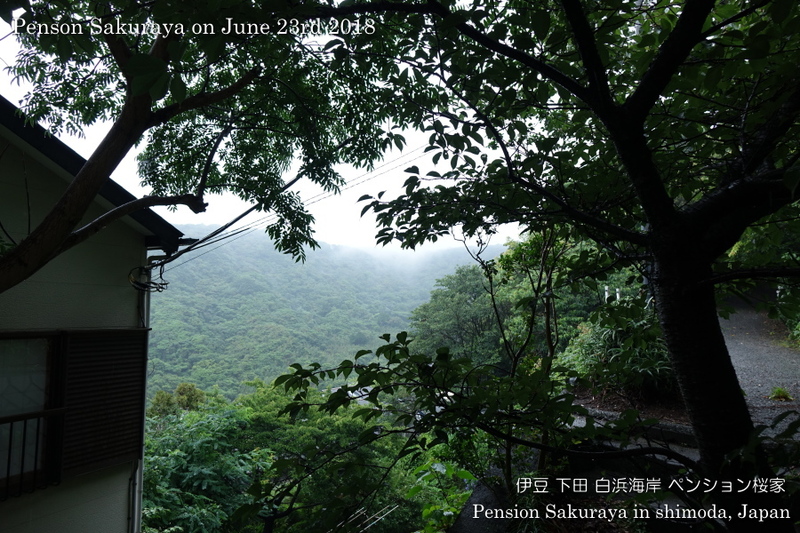 It had been rainy all day long today as the weather forecast said. 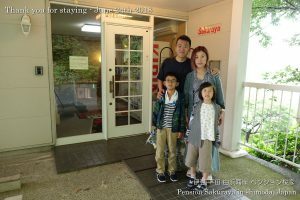 Our guests stayed in their rooms until late afternoon. 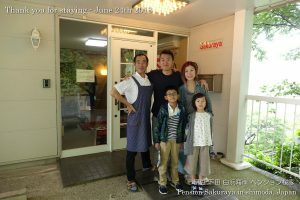 And they went to Shimoda city for dinner after that. 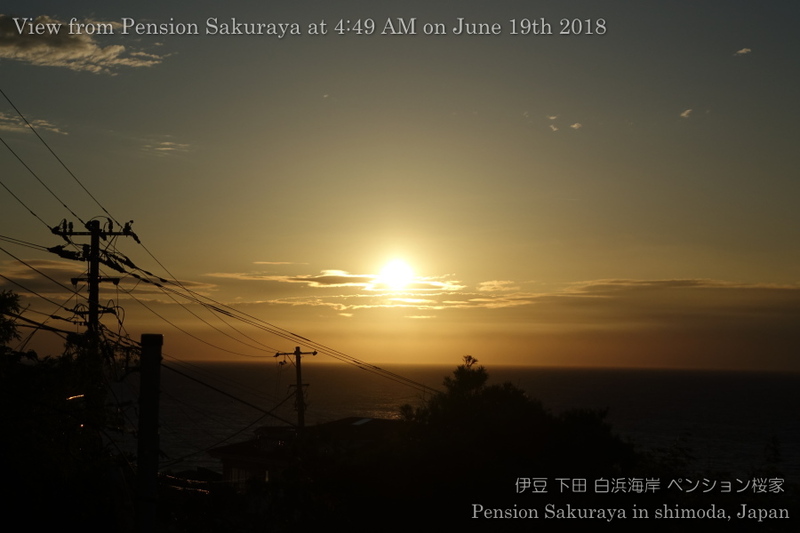 This entry was posted in Pension Sakuraya on 2018年6月23日 by izusakuraya. 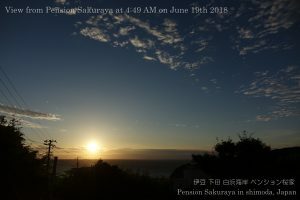 When I woke up this morning the sun was just rising up. 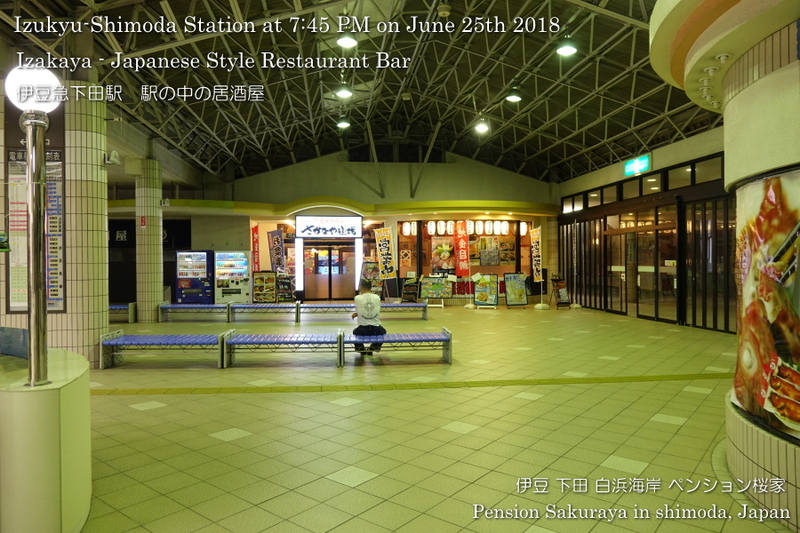 So I took these pictures on the second floor. 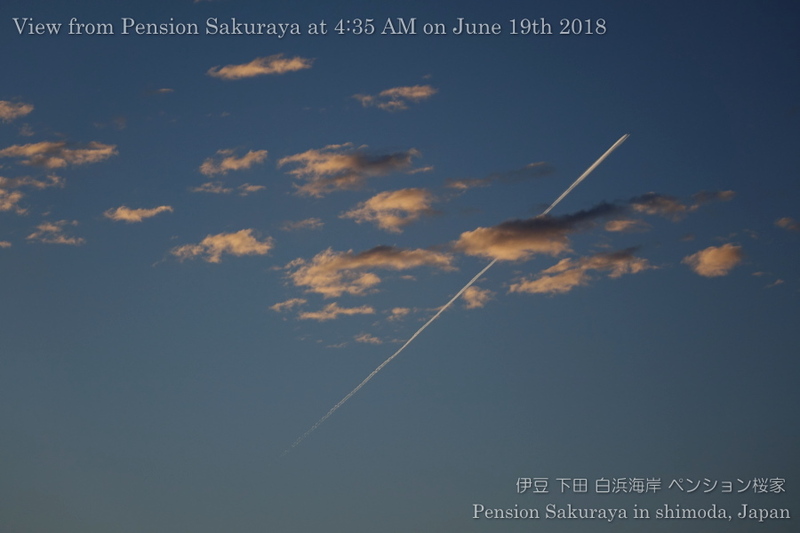 At that time the airplane was making vapor trail…. Today it was sunny before noon but the sky sometimes was covered with clouds this afternoon here in Shimoda. 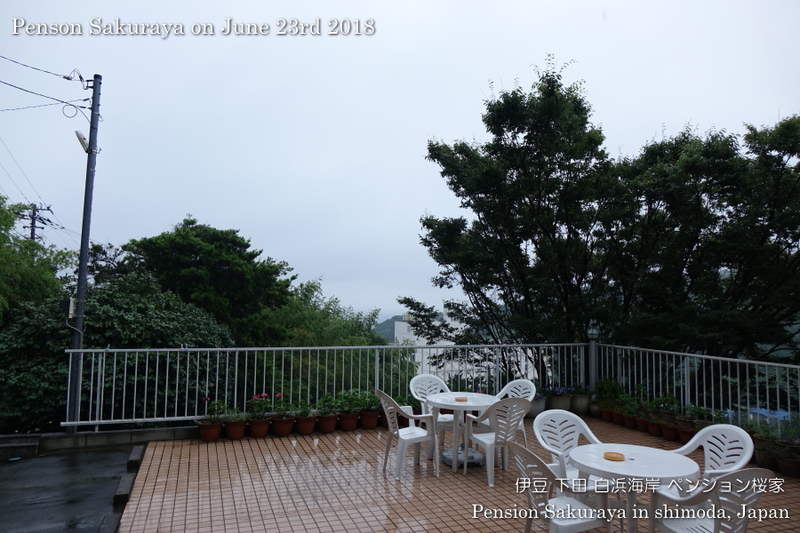 The weather forecast says it would be rainy tomorrow…. 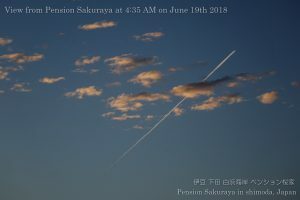 This entry was posted in nature on 2018年6月19日 by izusakuraya.